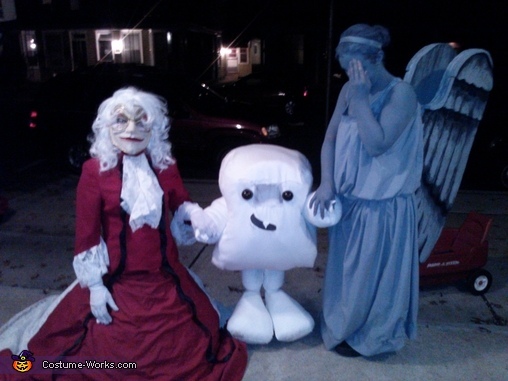 Clockwork Droid, Adipose, and Weeping Angel from Doctor Who. All different aliens from Doctor Who. All costumes hand made. Over all cost for the family around $75-85.